Are you obsessed with Game of Thrones? I sure am! I’ve been on edge for weeks now waiting to see how the series ends! While I waited, I spent all my time finding all kinds of awesome facts about the show. 1. The death count stands at 150,966. This number counts all the battles as well as the many speaking characters that met their demise throughout the series. 2. 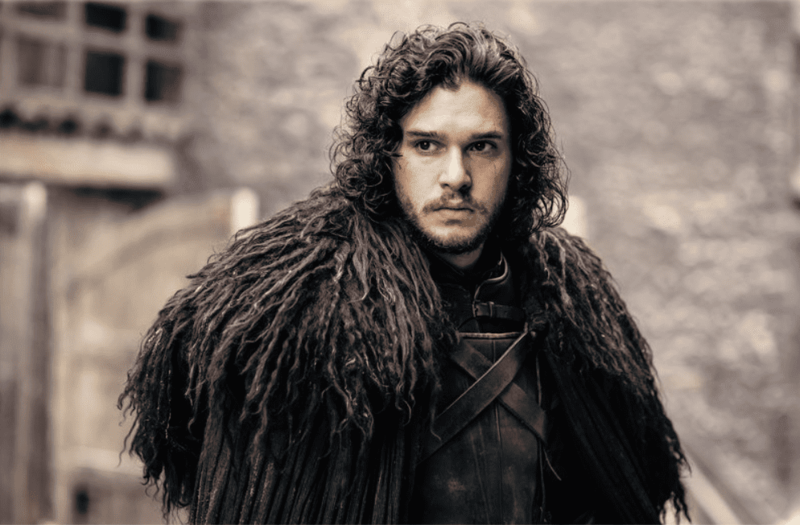 Season 3 was challenged with filming around Kit Harrington’s broken leg. Harrington, who plays Jon Snow, broke his leg climbing into a window at his London flat after losing his keys. Stand-ins with wigs were sometimes needed for his scenes. 3. In Season 1, Emilia Clarke was covered in so much fake blood she got stuck to a toilet. 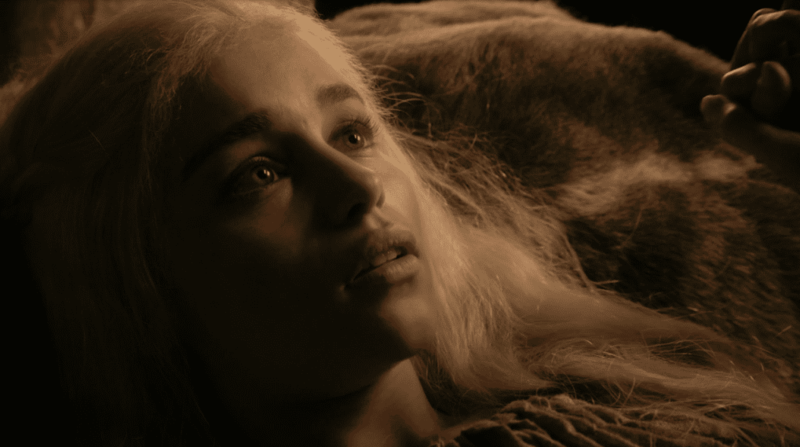 Her character, Daenerys Targaryen, ate a stallion’s heart in a scene. When it was time to take a bathroom break, the sticky prop blood glued her to the seat. 4. Kit Harrington did his audition with a black eye. The night before the audition, Kit and the woman he was dating at the time had to share a table at a McDonald’s with another couple they didn’t know. The man said some rude things to Kit’s date from across the table. Kit stood up to challenge the man before realizing how big the dude was. But he credits the black eye for getting him the role! 5. Co-creators and showrunners David Benioff and Dan Weiss pranked castmember Alfie Allen. Allen was sent fake script pages suggesting Allen’s character, Theon Greyjoy, would be killed yet somehow remain on the show. Benioff and Weiss would call him and ask how he felt about being a naked zombie with no dialogue. Allen said sure, no problem. Then he figured it out. 6. There’s a pilot that never aired. Directed by Tom McCarthy, this pilot was shelved and reshot. 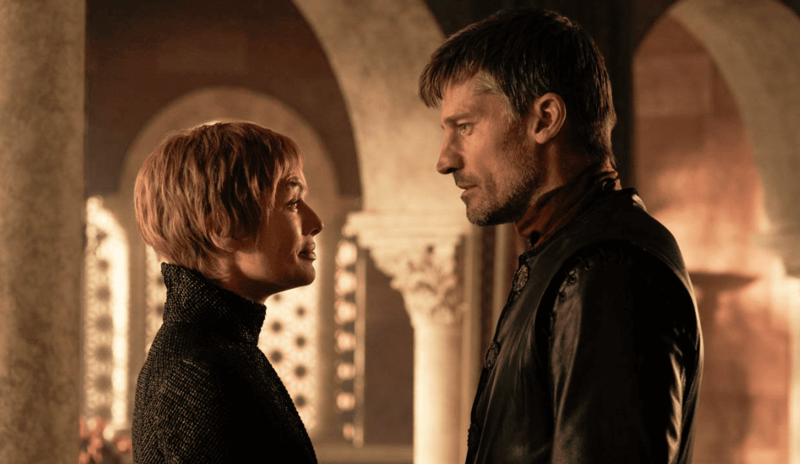 Benioff told Variety, “We got everything wrong on a very basic level with the writing of it.” Including omitting the major plot point that Jaime and Cersei were brother and sister. 7. 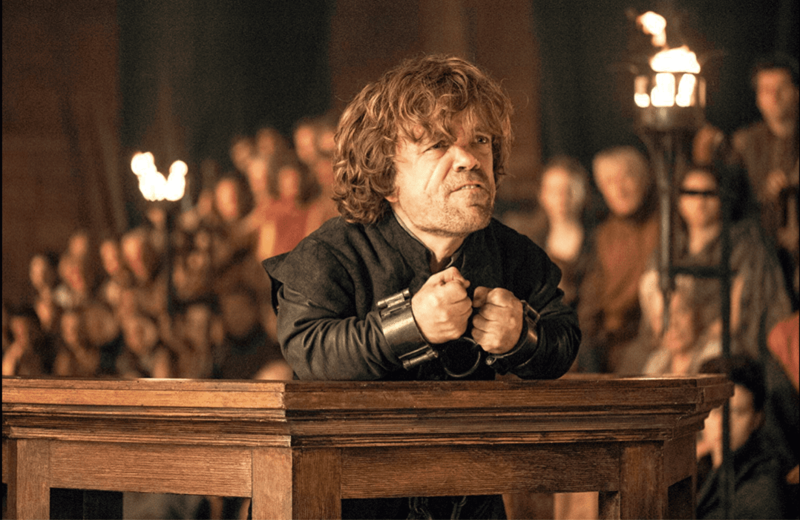 Mathematicians have proved Tyrion is the series’ true protagonist. After searching through George R.R. 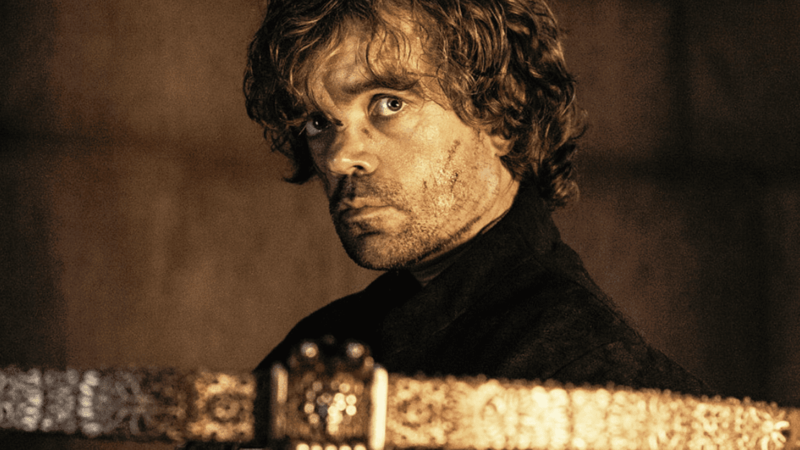 Martin’s A Song of Fire and Ice, analysts determined Peter Dinklage’s character is the most interconnected with the other characters. Tyrion also appeared in every episode of Seasons 2 and 5. 8. Sophie Turner adopted the ill-fated direwolf Lady. 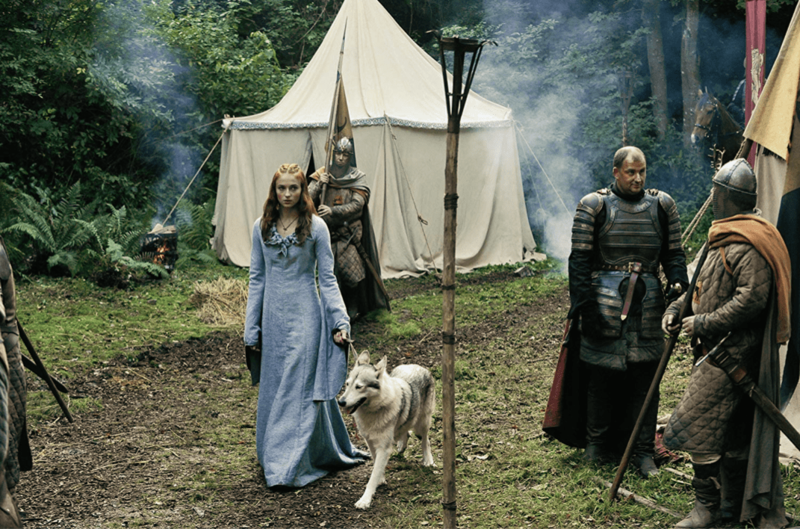 After Season 1, the trainer was looking for a home for Zunni, the dog who played Lady. Turner stepped up and gave her co-star a forever home. 9. George R.R. 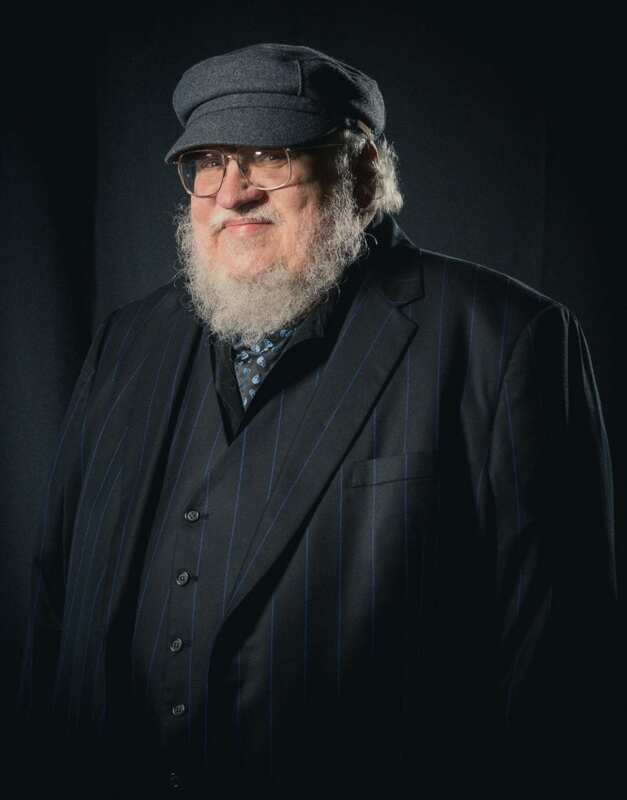 Martin has been working on The Winds of Winter, the sixth book in the series, for the past 8 years. 10. 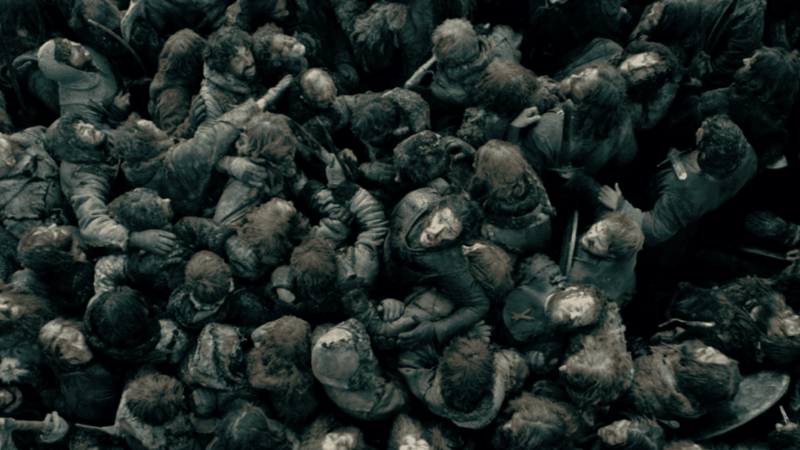 There are only 5 episodes in the entire GOT series that don’t involve death. 11. Peter Dinklage was almost not Tyrion Lannister. 12. Emilia Clarke did the “Funky Chicken” during her audition. After she finished her scene, she asked Benioff if there was anything else she could do for the audition. As a joke (see #1), he said she could dance for them. Clarke, riding a Diet Coke buzz, did the only dance she knew–the funky chicken. Hopefully, you’ve combed through your memory for all the important plot points from the past 7 seasons so you’ll be totally on top of exactly what is happening as the new mayhem begins. 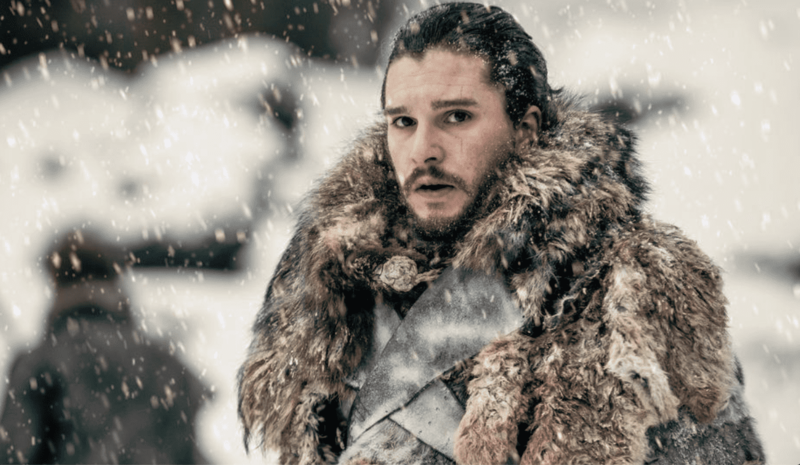 Or maybe it won’t matter what you remember – if we’ve learned anything from watching Game of Thrones, it’s that what might happen this final season is anyone’s guess. The post 10+ Insanely Cool Behind-the-Scenes Facts about “Game of Thrones” appeared first on UberFacts.